Homophily – the tendency for people to seek out, be attracted to or form strong social connections with, those who are similar to themselves; tendency of individuals to associate with others of the same kind. There are always two people involved in cruelty, aren’t there? One to be vicious and someone to suffer! And what’s the use of getting rid of – of wickedness, say – in the outside world if you let it creep back into things from inside you? – Margaret Mahy who was born on this day in 1936. 717 Battle of Vincy between Charles Martel and Ragenfrid. 1188 Accession to the throne of Japan by Emperor Antoku. 1413 Henry V became King of England. 1556 Archbishop of Canterbury Thomas Cranmer was burned at the stake. 1788 – A fire in New Orleans left most of the town in ruins. 1800 Pius VII was crowned Pope in Venice with a temporary papal tiara made of papier-mâché. 1801 The Battle of Alexandria was fought between British and French forces near the ruins of Nicopolis in Egypt. 1804 Code Napoléon was adopted as French civil law. 1811 Nathaniel Woodard, English educationalist, was born (d. 1891). 1844 The Bahá’í calendar began. 1844 – The original date predicted by William Miller for the return of Christ. 1863 George Owen Squier, American inventor and Major General in U.S. Signal Corp, was born (d. 1934). 1871 Otto von Bismarck was appointed Chancellor of the German Empire. 1904 Forrest Mars Sr., American sweet maker, was born (d. 1999). 1905 Albert Einstein published his theory on special relativity. 1913 More than 360 people were killed and 20,000 homes destroyed in the Great Dayton Flood in Ohio. 1918 The first phase of the German Spring Offensive, Operation Michael, began. 1919 The Hungarian Soviet Republic was established becoming the first Communist government to be formed in Europe after the October Revolution in Russia. 1928 Charles Lindbergh was presented the Medal of Honor for his first trans-Atlantic flight. 1933 Construction of Dachau, the first Nazi Germany concentration camp, was completed. 1935 Shah Reza Pahlavi formally asked the international community to call Persia by its native name, Iran, which means ‘Land of the Aryans’. 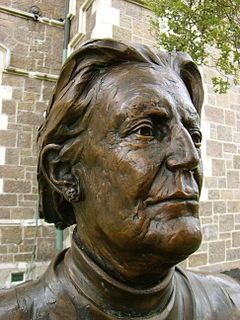 1936 – Margaret Mahy, New Zealand author, was born (d 2012). 1937 18 people in Ponce, Puerto Rico were gunned down by a police squad acting under orders of US-appointed PR Governor, Blanton C. Winship. 1943 Vivian Stanshall, English musician, artist, actor, writer, Bonzo Dog Doo Dah Band, was born. 1945 – World War II – British troops liberated Mandalay, Burma. 1945 Operation Carthage – British planes bombed Gestapo headquarters in Copenhagen but also hit a school; 125 civilians were killed. 1945 Rose Stone, American musician (Sly & the Family Stone), was born. 1946 Timothy Dalton, British actor, was born. 1950 Roger Hodgson, English musician, former member of Supertramp, was born. 1951 Russell Thompkins Jr, American singer (The Stylistics), was born. 1952 Alan Freed presented the Moondog Coronation Ball, the first rock and roll concert, in Cleveland, Ohio. 1960 Massacre in Sharpeville: Police opened fire on a group of unarmed black South African demonstrators, killing 69 and wounding 180. 1964 Gigliola Cinquetti won the ninth Eurovision Song Contest for Italy singing “Non ho l’età” (“I’m not old enough”). 1965 NASA launched Ranger 9, the last in a series of unmanned lunar space probes. 1965 – Martin Luther King Jr led 3,200 people on the start of the third and finally successful civil rights march from Selma to Montgomery, Alabama. 1968 Battle of Karameh in Jordan between Israeli Defense Forces and Fatah. 1970 The first Earth Day proclamation was issued by San Francisco Mayor Joseph Alioto. 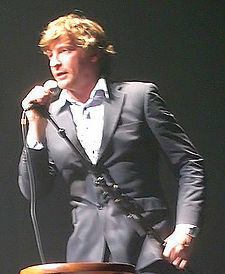 1974 Rhys Darby, New Zealand comedian, was born. 1980 US President Jimmy Carter announced a United States boycott of the 1980 Summer Olympics in Moscow to protest the Soviet Invasion of Afghanistan. 1985 – Canadian paraplegic athlete and humanitarian Rick Hansen began his circumnavigation of the globe in a wheelchair in the name of spinal cord injury medical research. 1990 – Namibia regained its independence after 75 years of South African rule. 1994 – New Zealanders won Oscars for the first time (for The Piano). 1999 Bertrand Piccard and Brian Jones became the first to circumnavigate the Earth in a hot air balloon. 2003 Race Relations Day was celebrated in New Zealand for the first time. 2006 Immigrant workers constructing the Burj Khalifa in Dubai, The United Arab Emirates and a new terminal of Dubai International Airport joined together and riot, causing $1M in damage. 2009 – Four police officers were shot and killed and a fifth was wounded in two shootings at Oakland, California. You are currently browsing the Homepaddock blog archives for the day Thursday, March 21st, 2019.